WINDSOR, Ont. — Following a rough loss against tournament favourite and the number one seeded Windsor Lancers last night, the Wilfrid Laurier women’s basketball team was back in action at the Canadian Interuniversity Sport (CIS) national championships this afternoon at the St. Denis Centre in Windsor. 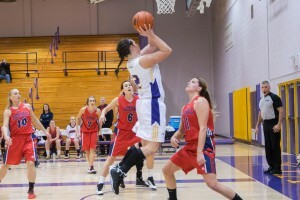 The Golden Hawks met the McGill Martlets in the consolation semi-finals, a team fresh off their third consecutive RSEQ league title, who found themselves upset by Fraser Valley Friday night. Poor shooting proved to be a factor, as the Hawks dropped a 58-51 decision. After both teams gave up over 70 points in their first game, the focus seemed to be on defence early on. 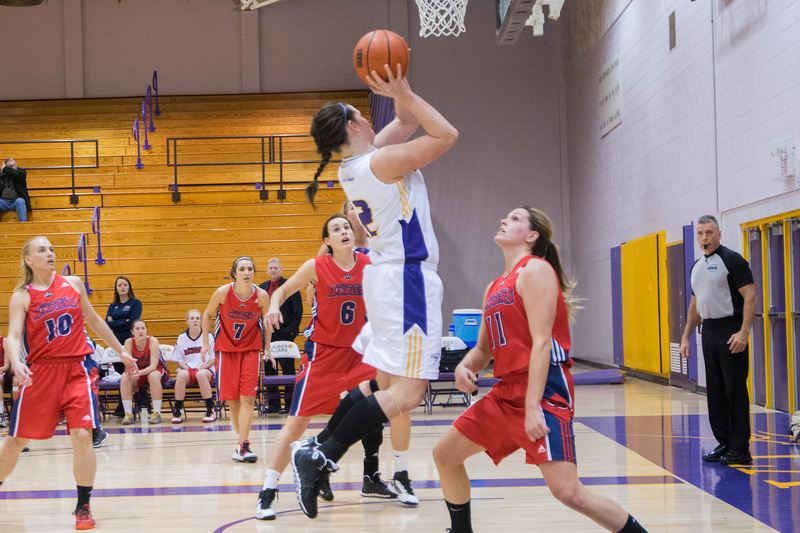 Points in the paint were hard to come by, even for the Martlets, who showcased seven players over 5’11, compared to just three from Laurier. After trading baskets throughout the first half, the Hawks found themselves trailing the Martlets by just one point, 26-25. Despite the score, Laurier was more efficient from the field than McGill in the first two quarters, shooting 37 per cent, almost ten per cent better than their counterpart. Things began to unravel for the Golden Hawks in the third, as they let McGill score the first seven points of the half. They shot a dismal five per cent and only managed to put seven points on the board in the third quarter. Problems beyond the arc also continued for the Hawks, as they followed up their three point-less performance against the Lancers by going just 2-for-16 Saturday afternoon. McGill ran into some foul trouble in the second half, which ensured the score never got out of hand, but the Martlets flirted with a double digit lead for the remainder of the game. Fourth-year Whitney Ellenor led the Hawks in scoring once again with 12 points on 6-of-9 shooting, proving to be one of the only consistent parts of Laurier’s game. Mariam Sylla of McGill, RSEQ’s most valuable player and game MVP, led all scorers with 18 points while her 14 boards were also unmatched. McGill moves on to play the Alberta Pandas in the consolation final which will decide fifth place in CIS rankings, while Laurier’s season comes to end. Four players from the team will be graduating this spring, including Laura Doyle, Bree Chaput, Kimberley Yeldon and Doreen Bonsu.